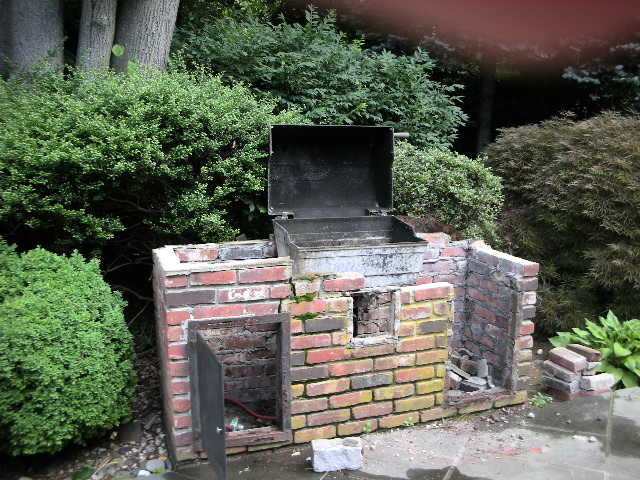 The last brick from the old barbecue we dismantled back in the summer. We saved the good ones in case we need another patio or path somewhere on the property. But we still had three large trash bags full of bits of bricks to get rid of. We reckoned if we put three half bricks into every sack of garbage we should have them gone by Labor Day. Hmm, that would require us to actually remember the plan, and act upon it. Today, only five months behind schedule, Steven ceremoniously put out the last piece of brick and I recorded the moment for posterity.